CO, Sep 2017: BlackBeltHelp, a leading provider of premium quality help desk products and services in the US higher education industry, is delighted to announce that American Sentinel University (ASU) has chosen BlackBeltHelp for after-hours IT Help Desk support. As a part of this collaboration, BlackBeltHelp will provide IT Help Desk services to American Sentinel University after business hours, and on weekends and holidays. 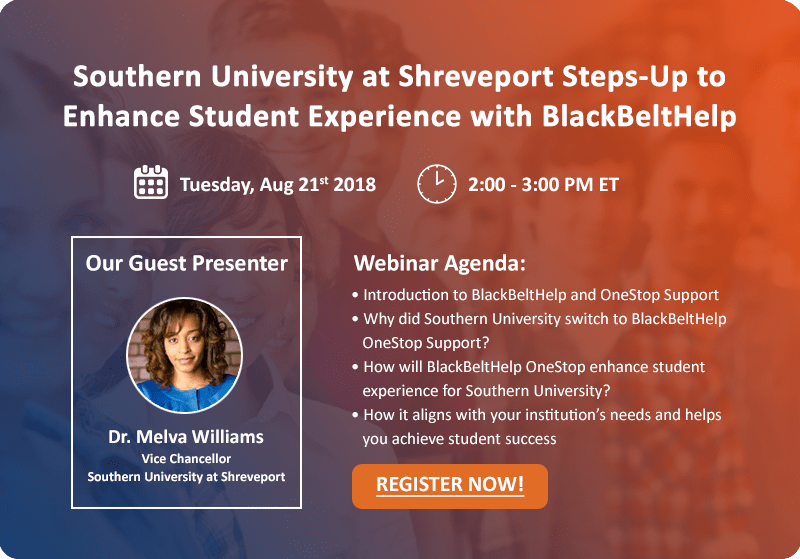 BlackBeltHelp’s after-hours support to American Sentinel University will help them achieve their goal of providing round-the-clock assistance to their students. BlackBeltHelp’s proficient customer service agents will tend to university’s end-users’ issues and ensure their timely resolution. BlackBeltHelp, working as an extension of ASU’s team, will ensure that someone is always there to address the problems ASU’s end-users encounter. American Sentinel University is accredited by the Distance Education Accrediting Commission (DEAC) a recognized member of the Council for Higher Education Accreditation. In addition, our bachelor’s and master’s nursing degree programs are accredited by the Commission on Collegiate Nursing Education (CCNE). The Accreditation Commission for Education in Nursing (ACEN) has awarded accreditation to American Sentinel University’s Doctor of Nursing Practice (DNP) program with specialty tracks in Educational Leadership, Executive Leadership and Informatics Leadership. To learn more, visit: https://www.americansentinel.edu.